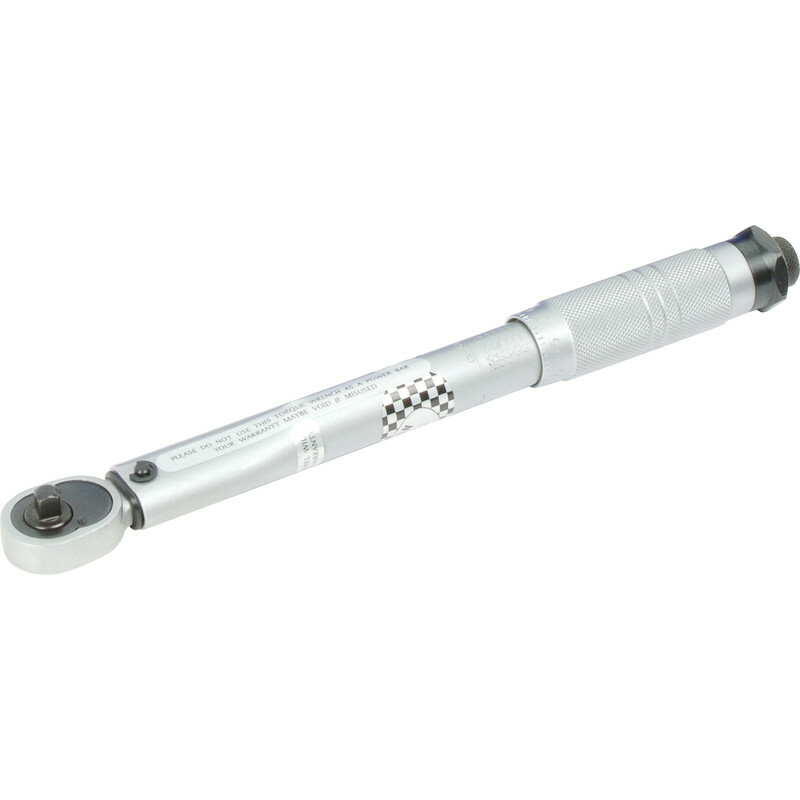 Low scale torque wrench has a primary scale of newton metres and a secondary scale. Knurled grip and blow mould case are included. 89159 1/2" drive, 42-210Nm, comes with calibration certificate.